I really, really like this series. I've read a lot of romance novels and this book, and series, stand out as being some of my favourites. The storyline and characters are just so much more developed than in many other books in this genre, and the writing is funny and touching. 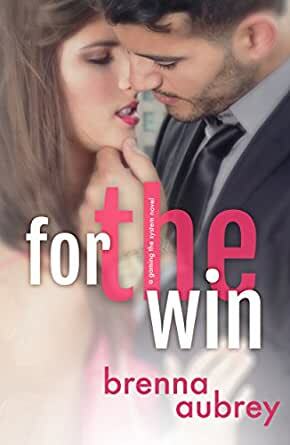 The steamy scenes are hot but not gratuitous, they keep the story moving and add spice, without being over the top or repetitive. This is a full length book, not a crappy novella, so I think for $3.99 it's a bargain and well worth the purchase. I highly recommend it and can't wait to read the next books in the series. Thoroughly enjoyed this book! I'd love to read more about Jordan and April. Loved this book! I can't wait to read more about Jordan & April. This book well definitely be re-read. Just love Brenna Aubrey, book number four and did not disappoint.